Electric bikes are an investment, and because of this, you’ll want to make sure they’re protected! 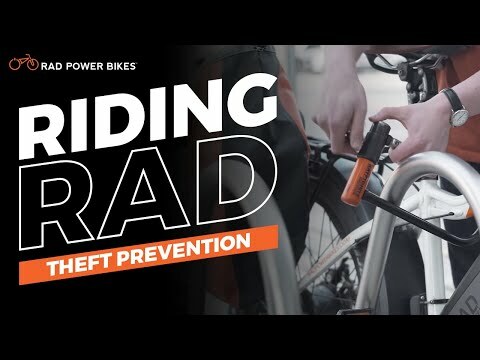 In this week’s episode of “Riding Rad” we talk through a few of the things you’ll want to think about when buying a lock and securing your ebike when not in use. Rad Power Bikes is making suggestions on best practices for securing an ebike but is in no way claiming that this will guaranteed secure it, nor are we recommending specific products.